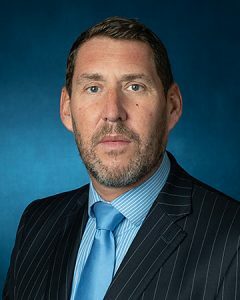 One of Brighton’s senior police officers has been officially recognised for his role in bringing murderer Russell Bishop to justice. Superintendent Jeff Riley was presented with a divisional commendation by Brighton and Hove police commander Lisa Bell. He led the long-running investigation that ended with Bishop being given a double life sentence at the Central Criminal Court – better known as the Old Bailey – in London. Bishop killed the “babes in the wood” – nine-year-olds Nicola Fellows and Karen Hadaway – in Wild Park in Moulsecoomb in October 1986. He was tried and acquitted a year later but the case was never closed. And as a detective superintendent, Jeff Riley oversaw the complex and challenging task of putting right the longstanding injustice. Bishop was convicted and jailed in December. She said that the entire team would be recognised elsewhere but she was aware of the significance of the case locally, not least to the families. 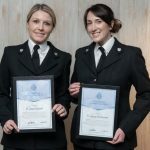 He was among dozens of Sussex Police officers and staff – and members of the public – to receive awards at a ceremony at the i360 on Brighton seafront this morning (Friday 8 February).